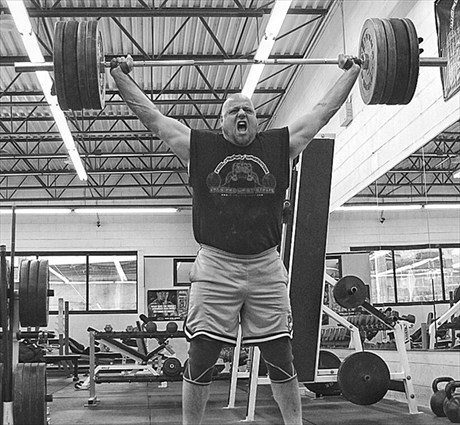 Iron Sport Gym was founded in 1995 by Steve and Joe Pulcinella as a haven for local weightlifters and powerlifters. They knew enough people that were tired of the lame “health club” scene that would join them on the quest to build the ultimate gym. The early premise was to have a really great facility for the lifter operated by the lifter. Nearly twenty years later, Iron Sport continues to build a unique strength community in the Philadelphia area. The gym is fully equipped for all types of strength training including powerlifting, Olympic weightlifting, strongman, Highland Games, and even CrossFit. We have 3 power racks, 1 single squat rack, 3 portable squat stands, 5 Olympic platforms, 4 benches, dumbbells up to 160#, 5 sets of Werk-San Olympic bumper plates, thousands of pounds of metal York plates, basic cardio equipment (just in case), a full assortment of Hammer Strength and Life Fitness machines, and a garage full of strongman implements you won’t find anywhere else. We also offer personal training for any strength discipline.